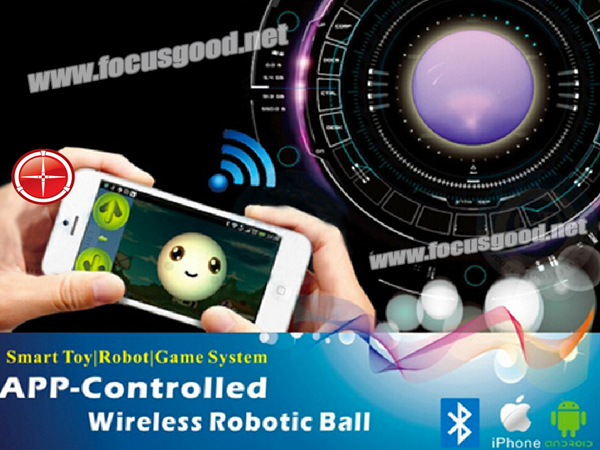 Robotic Ball Controlled by Android & iOS Apps, ready to ship! Magic robotic ball smart ball New Robotic Ball Controlled by Android & iOS Apps, demo video on our website. with many amazing function listed in one application. Magic robotic ball is an app-controlled wireless robotic ball for smart phones. It allows user to control the ball moving, turning, stopping and circling around the objects by Bluetooth connection. It built-in LED lights, could change different LED colors as you plays with it. Any color you can dream, with mode of led breathing, rainbow and flashing. The inside mechanism of the ball is protected by PC durable shell, so it is damage-resistant and water-proof, you could control it to swim in water. The app games are developed for entertainment with an integration of virtual and reality world. Its a completely new type of gaming system and aim for bringing fun to you! It is a robotic device that built-in battery,led,engine, wheel,sensor and Bluetoot mechanism,you can connect it with your smart-phone by using the Android/iOS application, remote control. The ball needs to be within the Bluetooth range of approximately 15-30 meters the Android/iOS device to be discovered and control. The battery support 1 hour playing, and need 1.5 hour for full charging, which is wireless charging. The led is RGB lamp, it could be mixed on the setting board to have other thousands of colors. Any Led color could be set, and the brightness of the led light could be adjusted as well. There are three color-beating modes available for option: Rainbow Mode, Breath Mode or shinning mode. Dance with Music Enjoy your small party time with the smart robotic ball. The ball will dance with the rhythm of the music played from the smart phone. And our user-friendly design is to allow the Bluetooth connect the ball while connect your Bluetooth speaker or Bluetooth headphone at the same time. Find a “billiard holes” on your table and use the smart phone as club to “click ” the ball, its funny to hit other ball and enter the billiard hole successfully. The app allow you to change the direction of the ball moving before it start to run. Light up the Jumping Notes. There are seven keys with different tones;press any piano key, the ball will respond with related led color. Its amazing to play a music with a led ball respond with different color lights. Press the “on” button to start this function, the ball will move around randomly endlessly until you press the “off” button. This is designed especially for amusing the pet whose master is occupied. Innovative way to play Golf Using the mobile as the golf club and swing the phone in a golf gesture, the ball will move to enter the hole. All you need to do is adjusting the direction of the ball, making its moving distance is right directly to the hole, and swing. Challenge your friends to a round of office golf! Follow your heart Draw a path with your finger on the interface of your Smart-phone, the ball will follow the path moving accordingly. Its interesting for kids to learn and develop their curiosity. USD 37.22/unit based on 10 cartons 100 balls. USD 42/unit based on 5 cartons 50 balls. USD 47 /unit base on 1 cartons 10 balls. 10 balls per carton. Shipping not included. This CX20 drone with GPS is the best seller drone in the world, and we have stock ready to ship right away. 60 multirotors per carton. Shipping not included. 6 quadcopters per carton. Shipping not included. 48 quadcopters per carton. Shipping not included. 12 quadcopters per carton. Shipping not included. 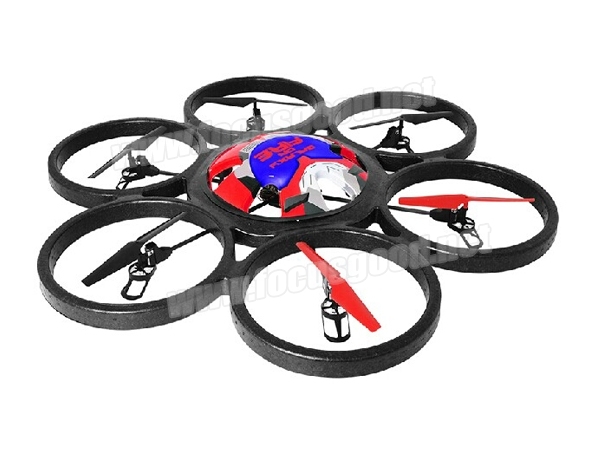 For 20 mini quadcopters only the price is USD 15.25/drone48 mini rc multirotors per carton. Shipping not included. 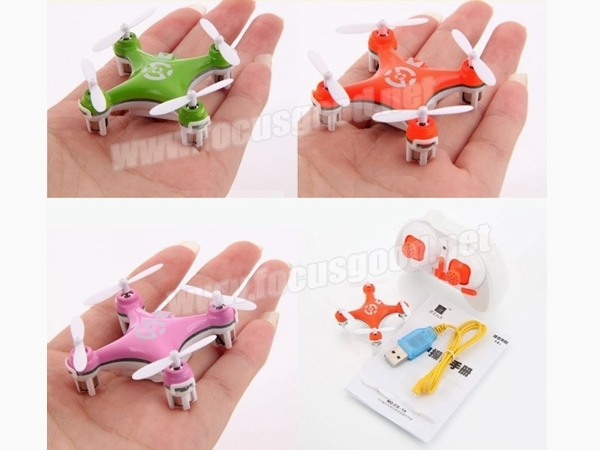 For 20 mini quadcopters only the price is USD 15.50/drone60 mini rc multirotors per carton. Shipping not included. 6 drones per carton, shipping is not included. 4 hexacopters per carton. Shipping not included. Ghost Drone Series! The world’s most easy to fly drone! We update new products from time to time on our website. And we update price special offer on our blog all the time, welcome to come to check all the time. See some relative products on the Focus Good website. Since decades, remote controlled toy cars have always been a part of most kid’s childhood. These cars can be controlled from distance using specialized transmitters. It’s one of the most favorite pass time game for kids out there. It never gets out-dated as every year new top-notch featured remote cars get introduced in the market. Owing to its popularity, they are one of the most gifted toys for kids. Even adults love playing with those remote controlled cars and find it amusing. There are different types of remote controlled cars available today, with the need of different power sources required for running them. Toy cars and hobby cars are currently the two different types of remote controlled cars trending in the toy industry. Coming with a reasonable price of within hundred dollars, remote control car toys can be easily availed from any toy store or mass marketing distributor. Powered by electric power packs, hobby remote controlled cars are bit expensive and needs usage of gasoline mixture to run. 4CH RC Police car R/C Car Toys: Available in red, yellow, white and black colors, these cars are easy to play and are very much maintenance-friendly. Remote controlled from a distance of 30-40 meters, they can be played until 7-8 minutes. RC 4CH double-layer plate car: Available in red, black and white colors, these cars are with music having 4 lights in them. They can go forward or backward by turning towards left, right, with its arm moving up and down. RC stunt car: Available in red and blue color, these cars can be controlled from a distance of 15 meters. These cars with music and light can go forward or backward by turning left and right. Hot sell WiFi remote control car with camera: These are four-wheel drive highly flexible remote controlled cars which can get operated for up to 25 minutes. This car can be controlled from a distance of 30 meters around the wall and 100 meters in an open space. With 300000 pixels ordinary camera, their adjustable angle varies from 0 to 40 degree. Coming in various types, shapes and sizes, remote controlled cars are the perfect way for having fun both indoors and outdoors. These cars have become a craze mostly among boys. But when gifted to children, it should be keenly observed that they have the knowledge of knowing how to operate and play with them.